Yeah, Nomerati! My husband and I also live at Shilito Lofts - and we love the building and the location. Welcome to downtown! you could start with the spaghetti, make 5 cups of broth with your bouillon cubes, and make the spaghetti like you make risotto. Toss in those frozen veggies and chickpeas too. (Ok I can't lie... it's a Rachael Ray recipe, but I promise it's REALLY good). I love this challenge. Please post some of your meals because they're bound to be pretty random after a while! 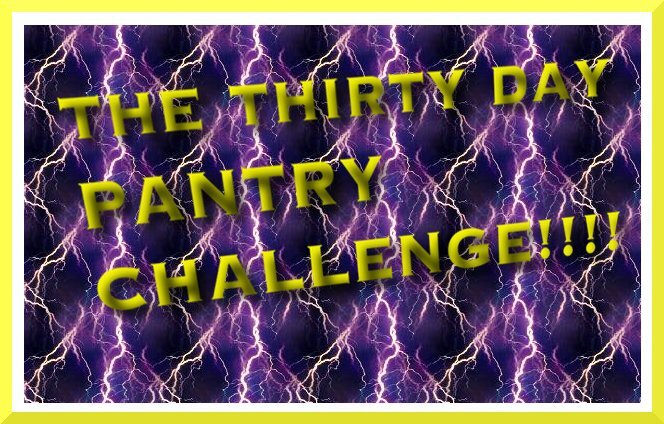 :) I challenge myself once in a while to do the same just so I can go to the store, guilt-free, and spend a lot of money! Blindly pick four items from the list, then make something using all of those items. No, sorry I can't join you, I'm busy that night. Type in ingredients on hand, get recipes based on those. To clarify, the recipes are not always superb.